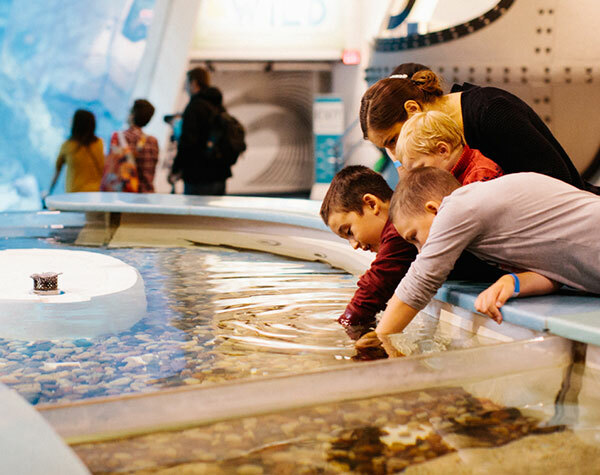 Explore the astounding underwater worlds of the Reiman Aquarium. Discover odd, beautiful, and incredible aquatic creatures from the Great Lakes, the Atlantic Ocean, and the Caribbean Sea. 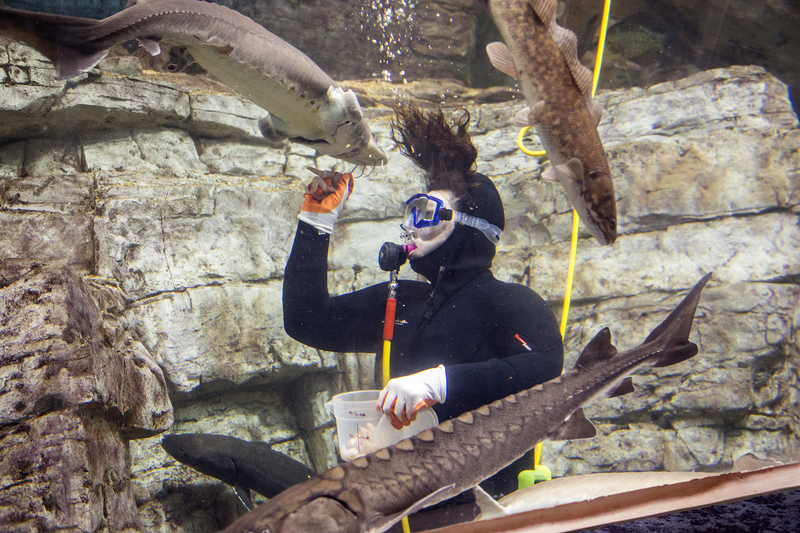 Experience Weird & Wild: Colorful Freshwater Species from Around the World, sponsored by PPG. Learn what it might be like for humans to live and work underwater. Learn a little about Caribbean species and feeding practices in the Reiman Aquarium. Enjoy a brief presentation on the role of volunteer divers, freshwater species from Lake Michigan, and Great Lakes as a whole, & feeding practices. 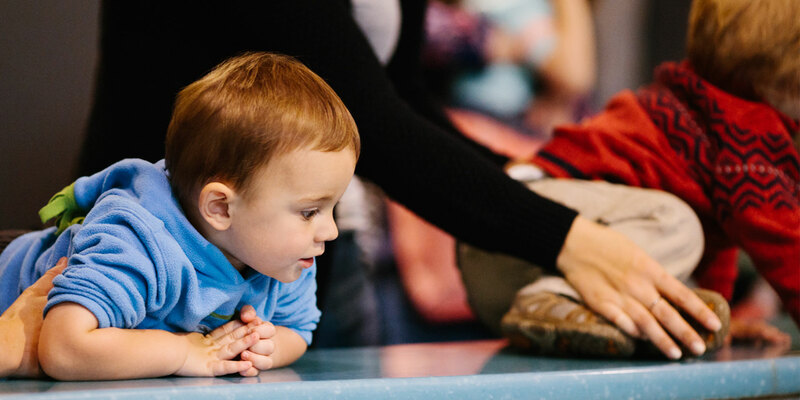 During this brief presentation and feeding, you’ll learn about the Lake Sturgeon’s habitat and food source, along with some fun facts about the Atlantic and Cortez stingrays. 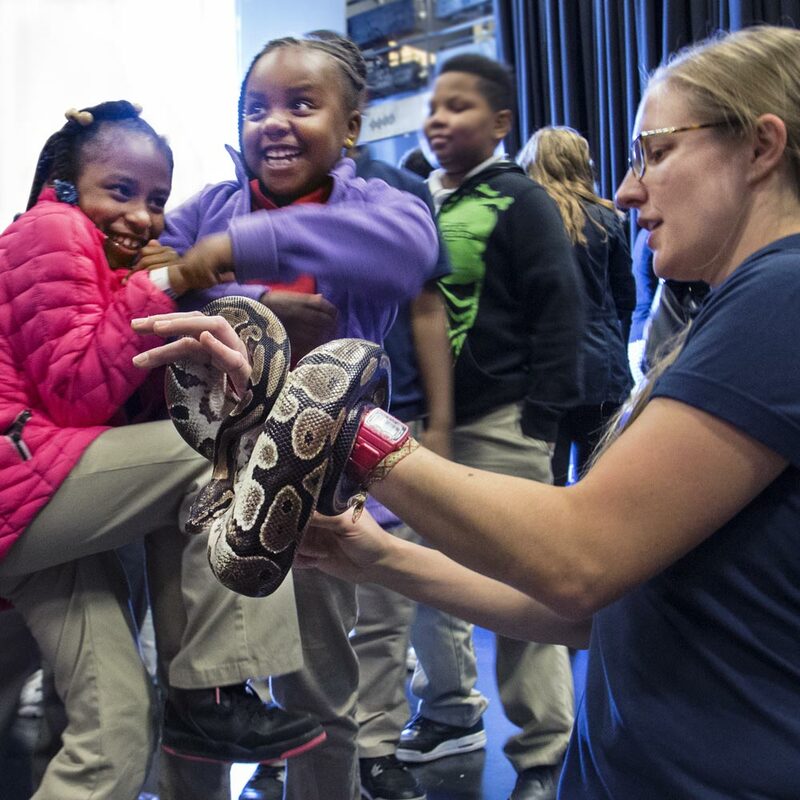 In this brief presentation, learn about things like the Python’s habitat and food source. This interaction will feature a “meet & greet” (touch or view up close). Based on Aquarium Dept. schedule and animal availability. *All demos and/or times are subject to change.